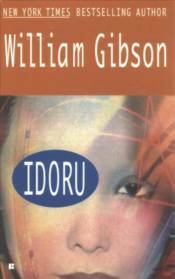 Set in futuristic Tokyo, rebuilt after an earthquake, this is the story of a rock star who decides to marry a non-existent, virtual reality girl; the bemused American security consultant who has been sent to take care of him; and a teenage fan. This novel is a witty futuristic thriller. "Fast,witty and lovingly painted" - "GUARDIAN." "Confirms Gibson as a realist writer for the post-Net generation" - "TLS." "A true BLADERUNNER for the Nineties" - "GQ."